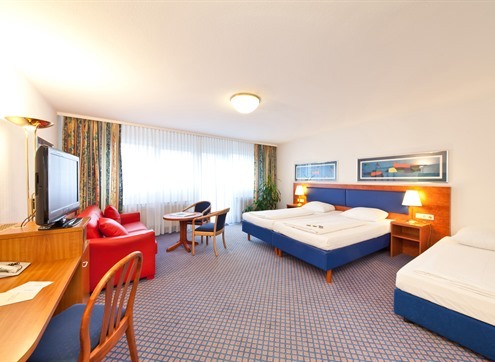 The NOVUM Hotel Boulevard Stuttgart City is centrally located in the city center of Stuttgart, in indirect proximity to public transport. Our rooms have practical equipment. Free Wi-Fi Internet access ensures modern comfort. 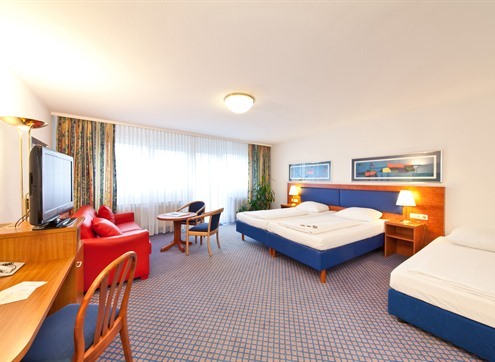 Attractions such as the New Castle or the Schlossplatz are within walking distance in just a few minutes. Due to the central location the NOVUM hotels are the ideal starting point for activities and activities of every kind. Our Queen Size category offer approx. 17 sqm of comfortable living conditions in a harmonious environment. Room features & details: Equipped with a queen size bed (1.40m x 2.00m) and shower/WC, desk, and shower/WC, desk, Flat-Screen TV, telephone, free WLAN, free safe, sound-proofed windows and hair dryer. Non-smoking rooms available. These rooms with a size of from 26 to 32 m² are designed for an occupancy of up to 3 guests. 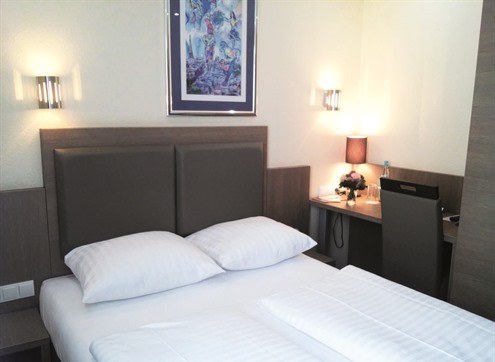 They feature 2 single beds (90x200 cm), a sofa bed (90x200), a job and a flat screen TV with cable TV program. Our bathrooms have a shower or bathtub, hairdryer, cosmetic mirror as well as hand - equipped and shower soap. 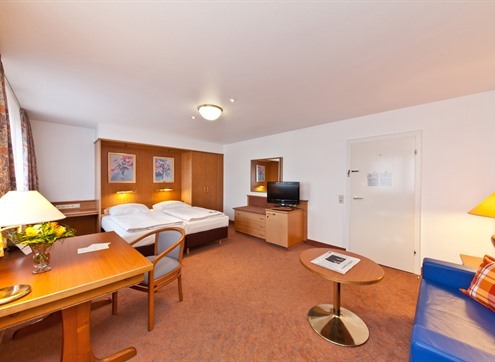 These spacious rooms are equipped with 36m² perfectly equipped for an occupancy of up to 4 guests. They feature 2 single beds (90x200 cm) and a sofa bed (160X200), a job and a flat screen TV with cable TV program and several radio stations. Our two bathrooms are equipped with bathtub, hairdryer, cosmetic mirror as well as hand - equipped and shower soap. Both rooms have a terrace.